We’ve reached the end of our 2018 season! It’s been quite a year, and we’re learning more every day about how to run Highway Hill better and provide a more fun, natural, and relaxing experience for our guests. In fact, we’re so keen to put our ideas into action that we’re already looking ahead to next year! The accommodation dates for 2019 are now available to book, and we’ve listened to feedback and made a few key changes to how we do things. Firstly, I’m excited to announce that from April 2019, all accommodation at the site will include access to the communal facilities in Haigha’s Form! Previously, guests had to pay a surcharge for access to Haigha’s Form but we have adjusted our pricing and can now offer that space completely included in the price of hire for accommodation. 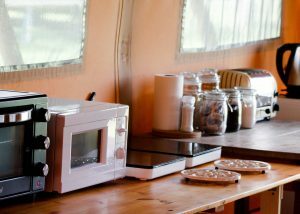 This is a particular benefit to guests staying in the bell tents who previously had to trek up to the kitchen next to the office in order to use free cooking facilities. 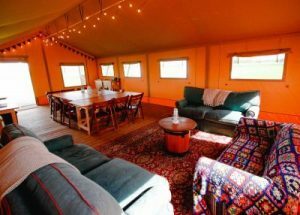 We also think that group bookings will be able to benefit massively from this change, as Haigha’s Form is the perfect communal hangout space when your group is staying in several different shepherds huts or bell tents. This space also offers a great base to help you keep an eye on your kids running around in our safe and contained campsite. In 2019, we will also be offering a wider range of extra activities that you can add on to your booking. After the phenomenal success of Dave & Ewe’s animal sessions this year, we will soon have other options such as mountain biking, archery and bushcraft available for both children and adults. 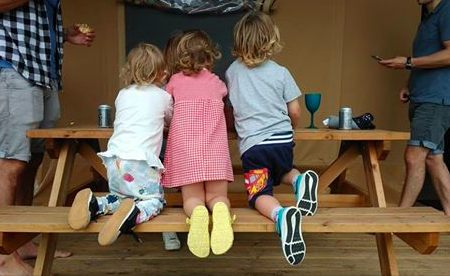 Having more activities on site is the perfect way to keep your kids busy (but safe and having fun) while you relax on your own or join them for a full family experience. Stay tuned for more information on the full range of extras as we finalise the details over the next few months. All through the year we have had feedback from happy guests who told us that they wished they had booked for a longer stay as they enjoyed themselves so much. We agree that it’s a shame to have a flying visit when there is so much to do and see at Highway Hill and in the local area, and we are keen to encourage guests to extend their visit just a little bit longer and really make the most of their holiday. That’s why for 2019 we have decided to offer a generous discount of 10% off on stays of 4 nights or more, and 15% off on stays of 7 nights or more! 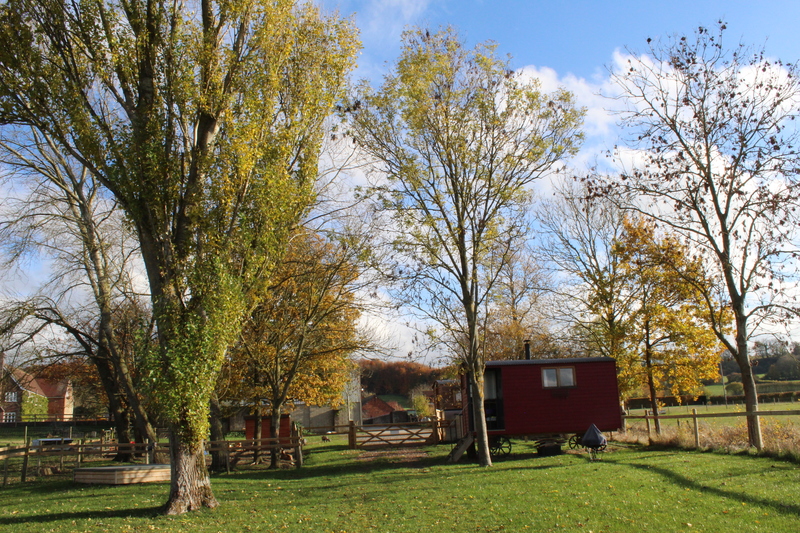 Why not take advantage of our extended range of activities and really relax into your break? 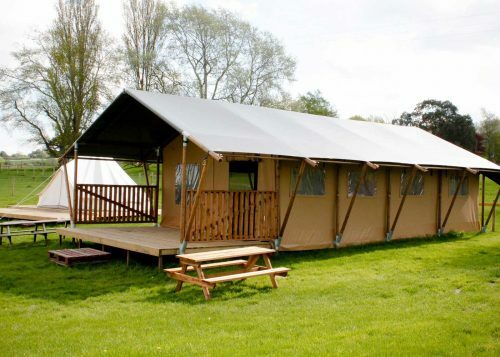 Finally, unlike most glamping sites we do allow single night stays, and that’s a policy that’s here to stay in 2019. We’d love you to visit for longer but we’d rather have you here for one night than not at all! We are boosting our single night surcharge to £30 to help us manage our costs, and we hope you’ll love it here so much you’ll want to come back for longer! 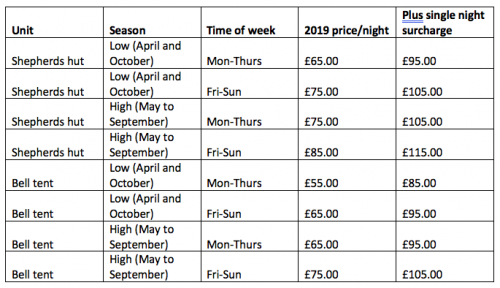 Our accommodation prices for 2019 are as follows – hurry, book now to secure your preferred dates! New accommodation for kids – Mr. Toad’s Hideaway!